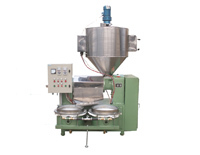 The YZS-95A automatic oil press machine is a new type of oil processing machinery. It is a kind of advanced automatic oil press combined with heating, pressing and filtering equipment. 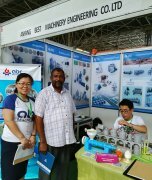 This type of oil press could be widely applied for processing rapeseeds, cottons, soybeans, peanuts, sesames, sunflowers, tung seeds, palm kernel and other granulated oil materals, as well as using for rice bran, corn embryo and powered oil materials and safflower and other wild plant oil materials. 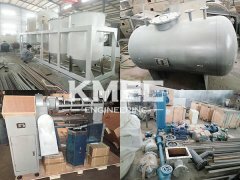 It's regeneration products for medium-small scale plant oil mill in country and private factory, and ideal choice for users to realise well-off life. This series integrated automatic oil press machine mostly composed by four parts: feeder, press chamber, electrial control and vacuum filter drum. The heating system is inside press cage. The filtering drum is vacuum with sight glass. The oil sight glass can help user to control the speed of oil clearing process. 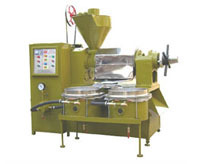 This auomatic oil press machine with fryer is an advanced model from "A" series oil press machine. It also includes fryer besides filter, heater, and control cabinet. The fryer is helpful for the higher oil output. 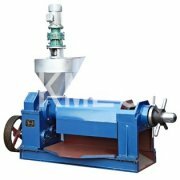 This type automatic oil press machine is very popular in individual and small oil mills. Our new automatic oil press machines keep big capacity and improve the oil extraction rate after more suitable pressure. The application of automatic heating pipe and vacuum filtering barrels can make the extracted crude oil clean at one time of filter, which make it more efficient. The expeller press can clean pressed the raw material one time at hot press and twice at cold press. Whenever you are interested in any of our automatic oil press machine, wether with fryer or not, please fell free to contact us in the following form. We are always to provide the best service for you!